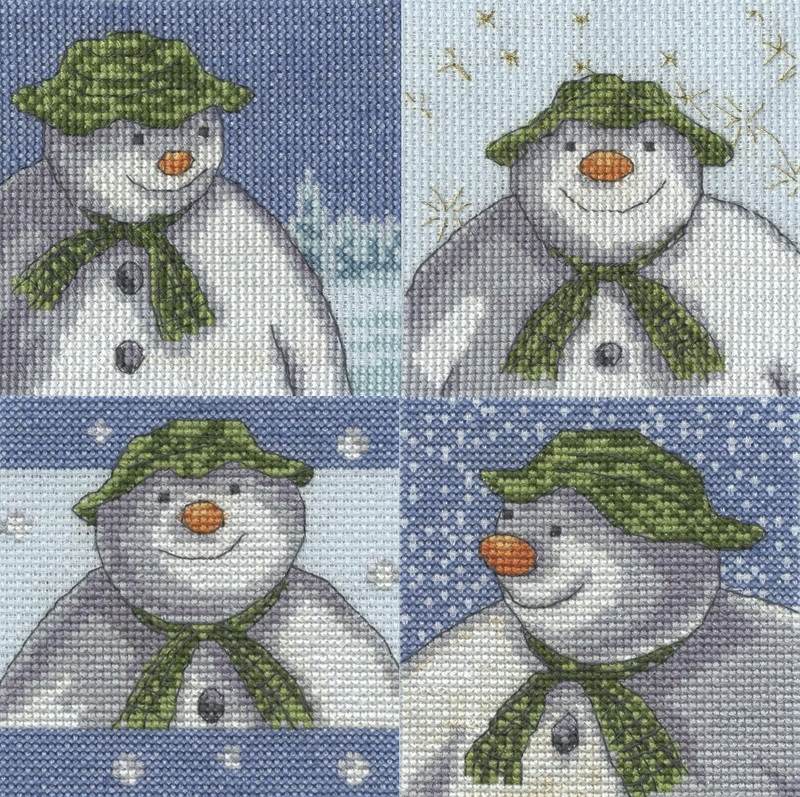 Set of 4 of The Snowman Cross Stitch Kits. Ideal for gifting and card-making. Kits included are Snowman - Stars, It's Snowing, Fir Trees and Snowflakes. 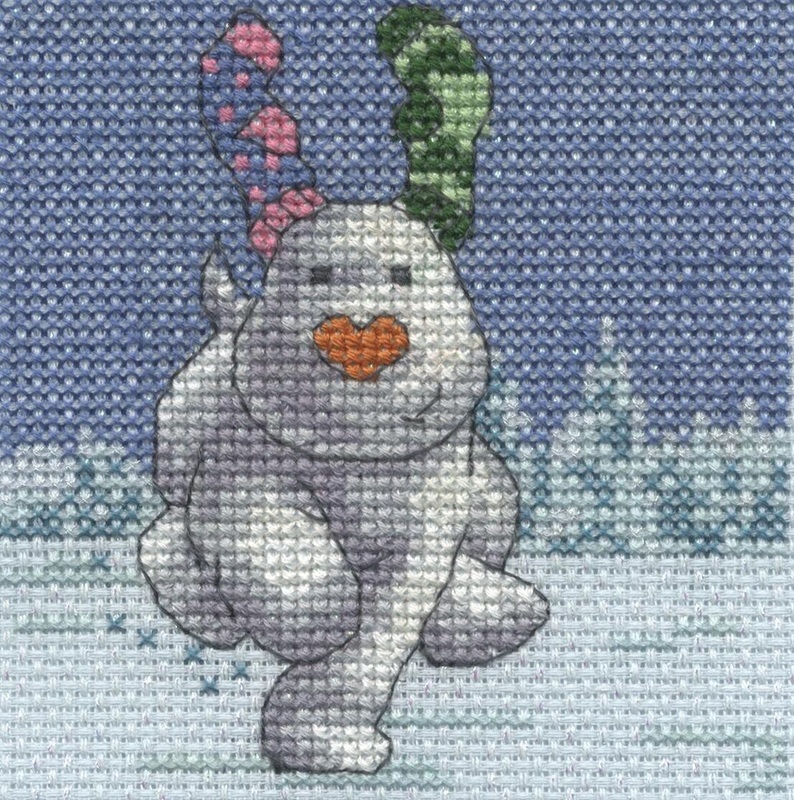 Each Kit includes DMC 6 stranded cotton, chart and instructions, 14ct iridescent aida and needle. Each design is approx. 9.3cm x 9.3cm (3.6 x 3.6") RRP £23.96 Currently out of stock, normal despatch time 7-14 days. 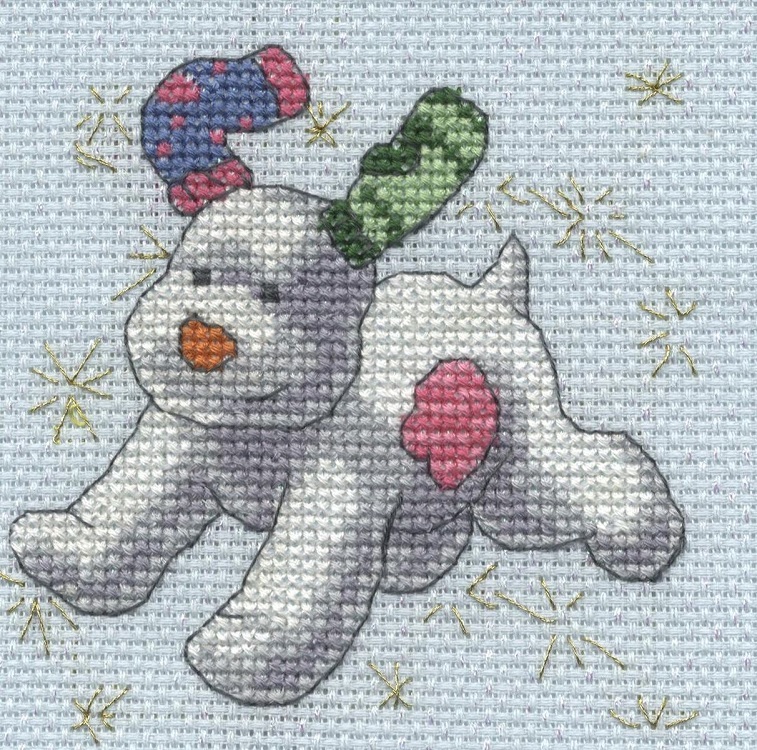 The Snowdog - Fir Trees Cross Stitch Kit. Kit includes DMC 6 stranded cotton, chart and instructions, 14ct iridescent aida and needle. Design size approx. 9.3cm x 9.3cm (3.6 x 3.6"). 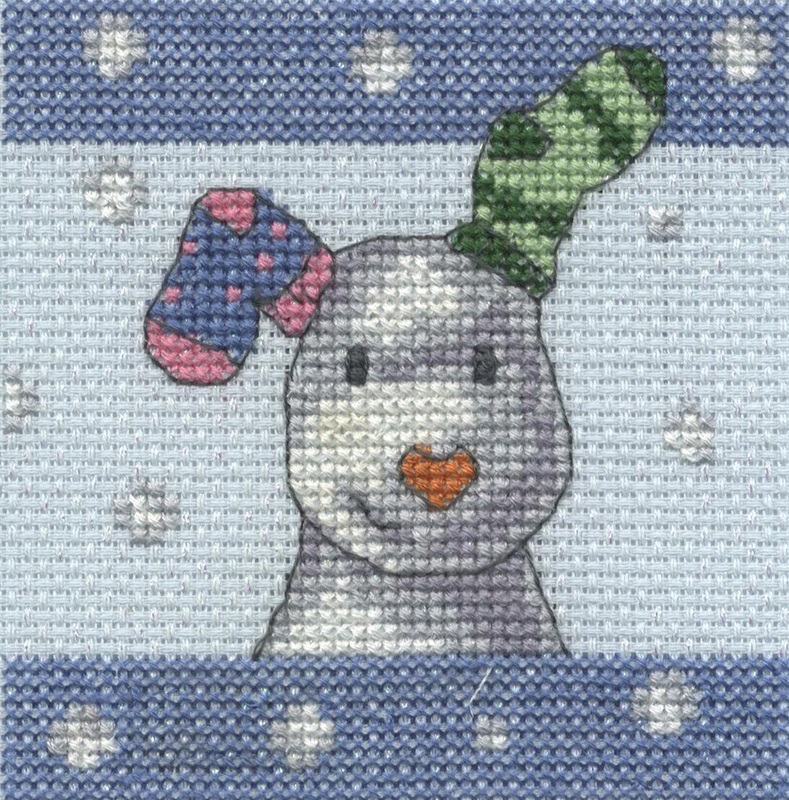 The Snowdog - Stars Cross Stitch Kit. 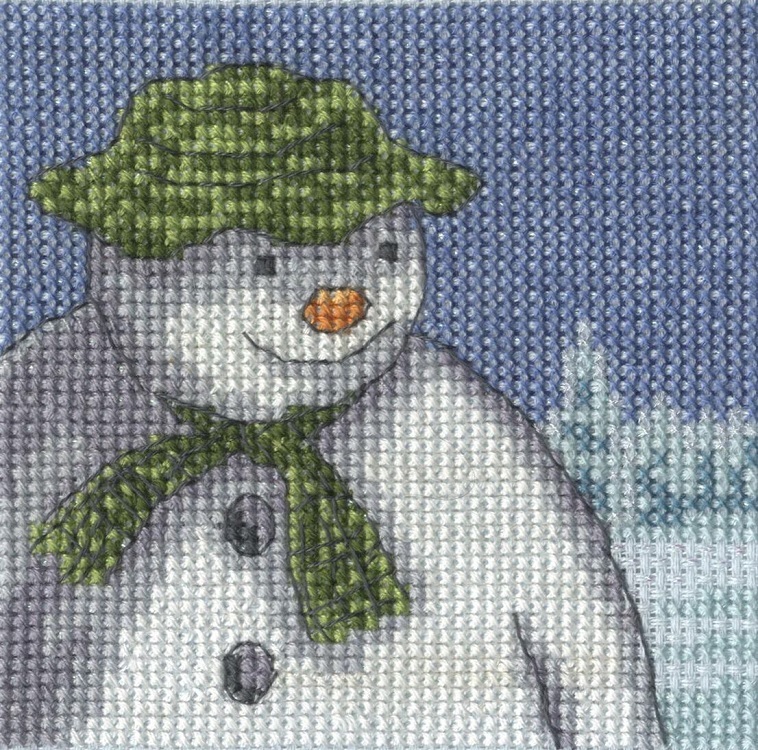 Kit includes DMC 6 stranded cotton, chart and instructions, 14ct iridescent aida and needle. Design size approx. 9.3cm x 9.3cm (3.6 x 3.6"). 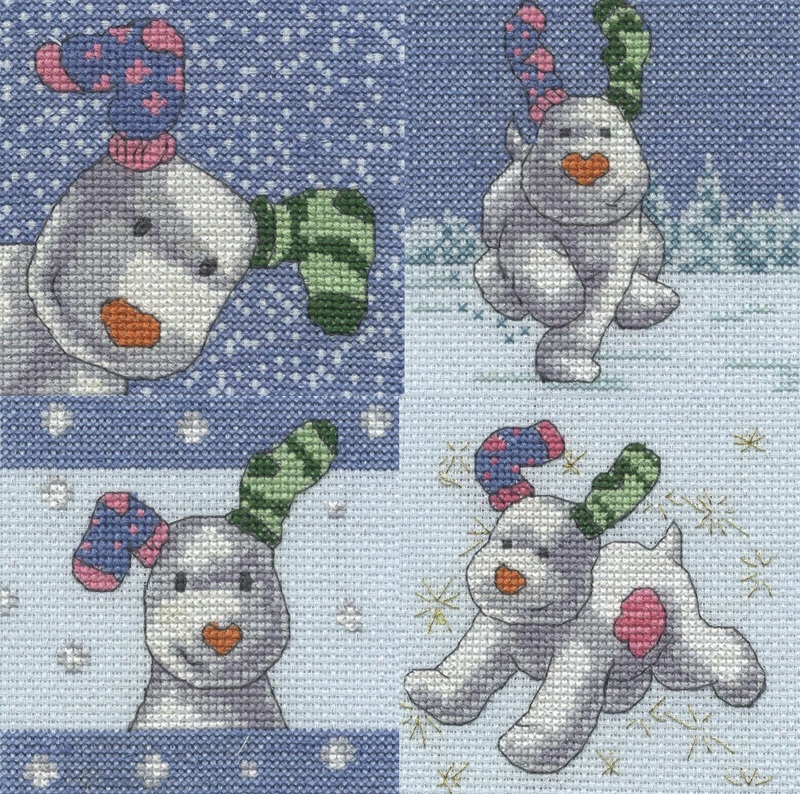 The Snowdog - It's Snowing Cross Stitch Kit. Kit includes DMC 6 stranded cotton, chart and instructions, 14ct iridescent aida and needle. Design size approx. 9.3cm x 9.3cm (3.6 x 3.6"). 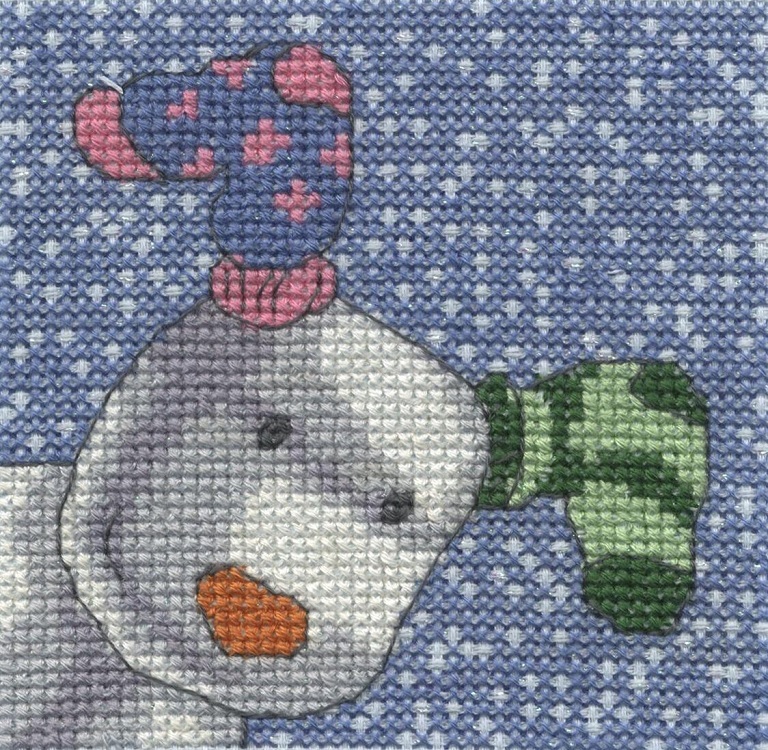 The Snowman - It's Snowing Cross Stitch Kit. 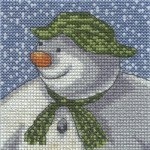 Kit includes DMC 6 stranded cotton, chart and instructions, 14ct iridescent aida and needle. Design size approx. 9.3cm x 9.3cm (3.6 x 3.6") Currently out of stock, normal despatch time 7-14 days. 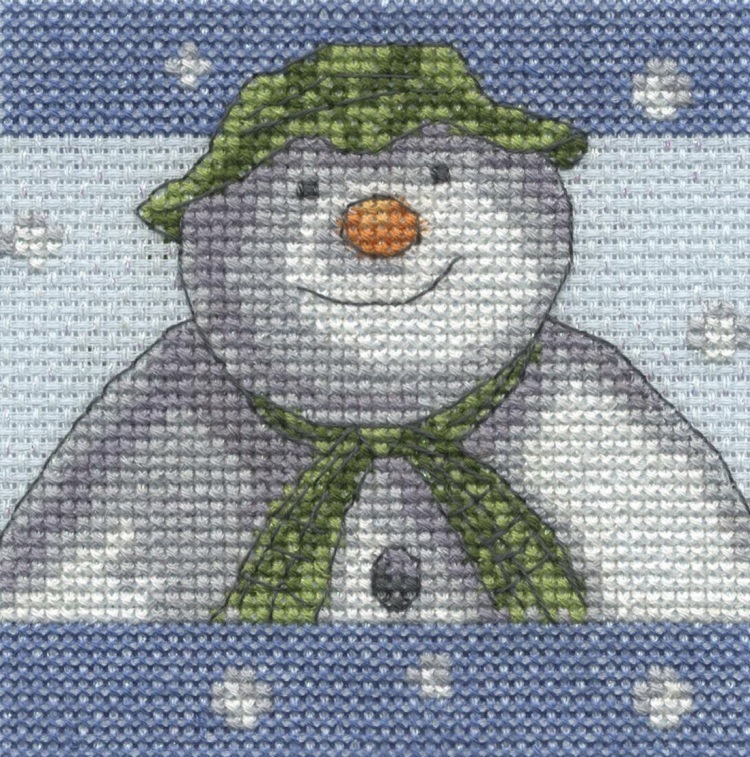 The Snowman - Snowflakes Cross Stitch Kit. Kit includes DMC 6 stranded cotton, chart and instructions, 14ct iridescent aida and needle. Design size approx. 9.3cm x 9.3cm (3.6 x 3.6"). Currently out of stock, normal despatch time 7-14 days.